The Datamax-O'Neil RP2000 has been discontinued. No direct replacement is available. 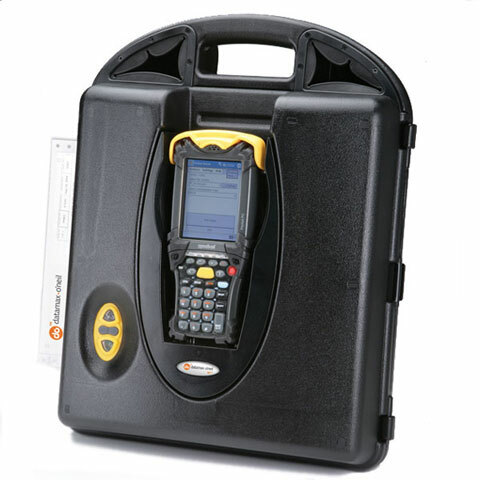 The RP2000 is a portable, full-page dot matrix printer that is rugged enough to be used in the cab of a truck or carried into a remote receiving area. The RP2000 accommodates Motorola PDT8000, PDT8046, and MC9000-S handheld computers. Its intelligent cradle allows the handheld computer to communicate with the printer as well as charge the handheld computer batteries. The RP2000 with Bluetooth enables the printing of receipts and invoices wherever they are needed. The RP is part of Datamax-O-Neil"s well known Integrated Printing Systems which combine our printers with the industry"s leading mobile computers to provide the ultimate in convenient integration and portability for users in route accounting, direct store delivery (DSD), and other field mobile applications. Integrated Printing Systems allow you to carry, charge and communicate from a single integrated device.